This article is about the Gambier Islands located in Polynesia. For the Island in Canada, see Gambier Island. For the Islands in South Australia, see Gambier Islands (South Australia). The Gambier Islands (French: Îles Gambier or Archipel des Gambier) are a populated (1319 people), small (30 km2 or 12 sq mi) group of islands, remnants of a caldera along with islets on the surrounding fringing reef, in French Polynesia, located at the southeast terminus of the Tuamotu archipelago. They are generally considered a separate island group from Tuamotu both because their culture and language (Mangarevan) are much more closely related to those of the Marquesas Islands, and because, while the Tuamotus comprise several chains of coral atolls, the Gambiers are of volcanic origin with central high islands. The Gambier Islands include the Mangareva Islands (the Gambier Islands proper), which have an enclosing coral reef which is broken by only three passages to the open sea. Besides Mangareva, the other notable high islands of the group are Akamaru, Angakauitai, Aukena, Kamaka, Kouaku, Makapu, Makaroa, Manui, Mekiro and Taravai. 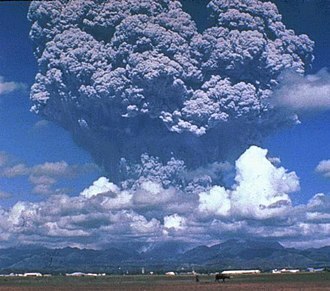 These are primarily of volcanic origin. 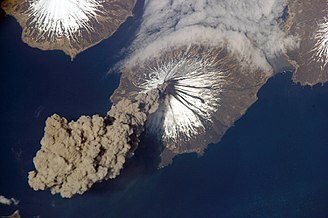 A number of others are actually coral islands, hence of secondary volcanic origin, including Papuri, Puaumu, Totengengie and the Tokorua group. The Mangareva Islands are located at 23°09′S 134°58′W﻿ / ﻿23.150°S 134.967°W﻿ / -23.150; -134.967 and are approximately 26.6 km² in area. The total population in 2016 was 1319. The primary town is Rikitea, located on Mangareva, as is the highest point in the Gambiers, Mt. Duff, rising to 441 metres (1,447 ft) along that island's south coast. Temoe atoll: one main island and a dozen motus separated by passes over the coral reef. to the west, the reef of Tokorua (occasionally emerging). Approximately from the 10th to the 15th centuries, the Gambiers hosted a population of several thousand people and traded with other island groups including the Marquesas, the Society Islands and Pitcairn Islands. However, excessive logging by the islanders resulted in almost complete deforestation on Mangareva, with disastrous results for the islands' environment and economy. 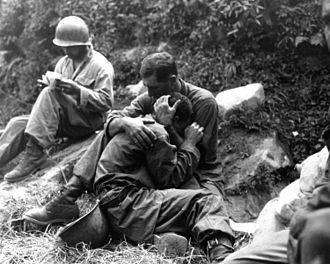 The folklore of the islands records a slide into civil war and even cannibalism as trade links with the outside world broke down, and archaeological studies have confirmed this. Today, the islands can support a population of only a few hundred. In 1834, the French Picpus priests Honoré Laval and François Caret with their assistant Columba Murphy founded a Roman Catholic mission in the Gambiers. After their success here, they moved to Tahiti in 1836. Mangareva along with its dependencies in the Gambier Islands were ruled by a line of kings and later regents that ruled until the French formally annexed the islands in 1881. 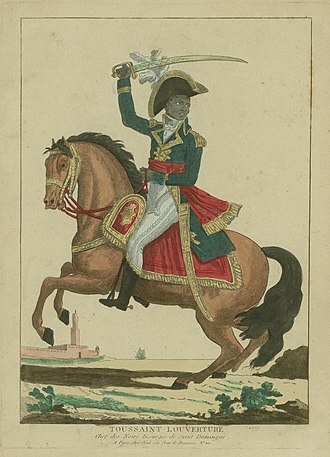 A French protectorate was requested on 16 February 1844 by King Maputeoa but was never ratified by the French government. On 4 February 1870, Prince Regent Arone Teikatoara and the Mangarevan government formally withdrew the protectorate request and asked the French to not intervene in the kingdom's affairs. After Father Laval was removed to Tahiti, the native government changed their stance and an agreement between the native government and the French colonial authority in Tahiti was signed reaffirming the protectorate status on 30 November 1871. The Gambier Islands were finally annexed on 21 February 1881 under Prince Regent Bernardo Putairi and approved by the President of France on 30 January 1882. The Gambiers served as a logistical staging base for French nuclear testing activity in Mururoa, approximately 400 kilometers away. 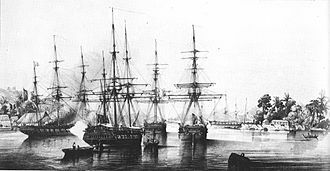 During this time, the French military dragged a chain through some of the coral reef beds to cut a wider and deeper channel for deep draft vessels. 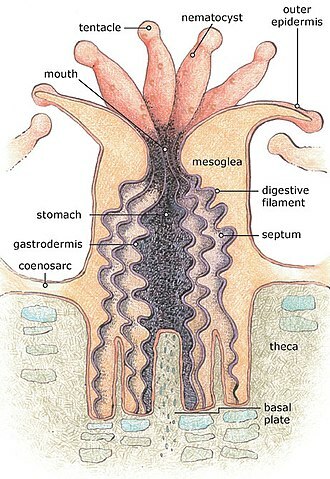 Higher rate of infections by ciguatera were subsequently recorded. 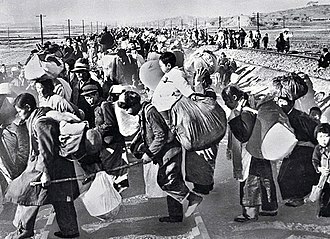 French military vessels visited the area (as of 1993) every six months collecting specimens of water, food, human hair and other material, as well as taking detailed accounts of births, deaths and other demographic events, presumably for on-going research into the effects of the nuclear testing. The results of this research are not published. According to French Polynesian doctors who have worked in the area, considerably higher than normal incidences of cancer and thyroid problems are found amongst Polynesians who live near the Moruroa atoll. St. Michael's Cathedral in Rikitea, the largest church in the South Pacific built to seat 1200. ^ Vincent, Lindsay (2006-01-01). 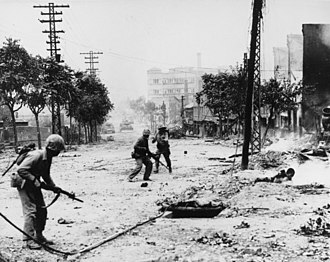 "French accused of Pacific nuclear cover-up". London: The Guardian. Retrieved 2008-05-12. Wikimedia Commons has media related to Gambier Islands. Wikivoyage has a travel guide for Gambier Islands. Mangareva is the central and largest island of the Gambier Islands in French Polynesia. It is surrounded by islands, Taravai in the southwest and Akamaru in the southeast. Mangareva has a permanent population of 1,239 and the largest village on the island, the island is approximately 8 km long and, at 15.4 km², it comprises about 56% of the land area of the whole Gambier group. 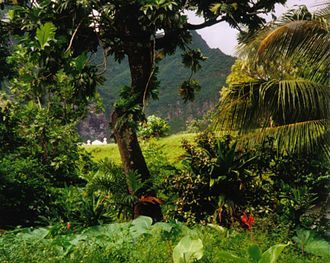 Mangareva has a central ridge which runs the length of the island. The highest point in the Gambiers is Mt. 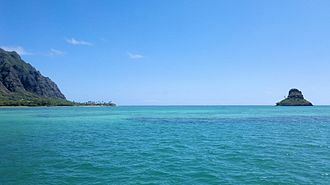 Duff, on Mangareva, the island has a large lagoon 24 km in diameter containing reefs whose fish and shellfish helped ancient islanders survive much more successfully than on nearby islands with no reefs. Mangareva was once forested and supported a large population that traded with other islands via canoes. However, excessive logging by the islanders during the 10th to the 15th centuries resulted in deforestation of the island, with results for its environment. The first European to arrive at Mangareva was British Captain James Wilson in 1797 on the ship Duff, Wilson named the island group in honour of Admiral James Gambier, who had helped him to equip his vessel. Mangareva along with its dependencies in the Gambier Islands were ruled by a line of kings, a French protectorate was requested on 16 February 1844 by King Maputeoa but was never ratified by the French government. On 4 February 1870, Prince Regent Arone Teikatoara and the Mangarevan government formally withdrew the protectorate request, the Gambier Islands were finally annexed on 21 February 1881 under Prince Regent Bernardo Putairi and approved by the President of France on 30 January 1882. Mangarevas history and its ancient links with the Pitcairn and Henderson islands is well-covered in Jared Diamonds book, Mangareva is reached by boat from the nearby airport across the lagoon. Mangareva is an important travel link to Pitcairn Island, practically the only way a traveler can reach Pitcairn Island is to fly to Tahiti, to Mangareva. From there, a 32-hour boat ride will take the traveler to the island, some reach Pitcairn by commercial shipping traffic, but that is less and less common as shipping lanes do not typically pass close to Pitcairn. 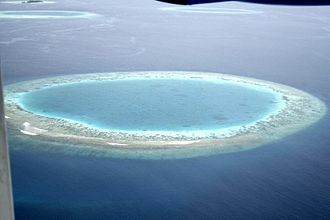 An atoll, sometimes called a coral atoll, is a ring-shaped coral reef including a coral rim that encircles a lagoon partially or completely. There may be coral islands/cays on the rim, the coral of the atoll often sits atop the rim of an extinct seamount or volcano which has eroded or subsided partially beneath the water. 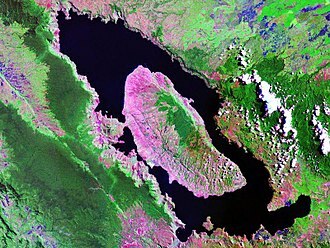 The lagoon forms over the crater or caldera while the higher rim remains above water or at shallow depths that permit the coral to grow. For the atoll to persist, continued erosion or subsidence must be at a slow enough to permit reef growth upwards and outwards to replace the lost height. The word atoll comes from the Dhivehi word atholhu, meaning an administrative subdivision, the distribution of atolls around the globe is instructive, most of the worlds atolls are in the Pacific Ocean and Indian Ocean. 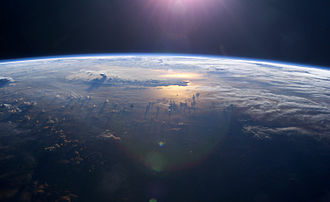 The Atlantic Ocean has no large groups of atolls, other than eight atolls east of Nicaragua that belong to the Colombian department of San Andres and Providencia in the Caribbean. 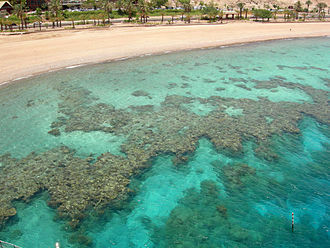 Reef-building corals will thrive only in tropical and subtropical waters of oceans and seas. 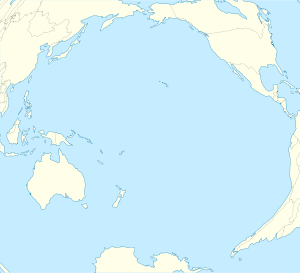 The northernmost atoll of the world is Kure Atoll at 28°24 N, the southernmost atolls of the world are Elizabeth Reef at 29°58 S, and nearby Middleton Reef at 29°29 S, in the Tasman Sea, both of which are part of the Coral Sea Islands Territory. The next southerly atoll is Ducie Island in the Pitcairn Islands Group, at this latitude coral reefs would not develop without the warming waters of the Gulf Stream. However, Bermuda is termed a pseudo-atoll because its general form, while there is no atoll directly on the equator, the closest atoll to the Equator is Aranuka of Kiribati, with its southern tip just 12 km north of the equator. 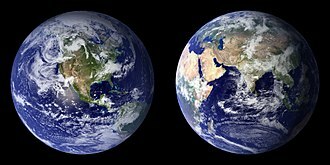 In most cases, the area of an atoll is very small in comparison to the total area. Atoll islands are low lying, with their elevations less than 5 meters, measured by total area, Lifou is the largest raised coral atoll of the world, followed by Rennell Island. More sources however list as the largest atoll in the world in terms of land area Kiritimati, the remains of an ancient atoll as a hill in a limestone area is called a reef knoll. The Marquesas Islands are a group of volcanic islands in French Polynesia, an overseas collectivity of France in the southern Pacific Ocean. 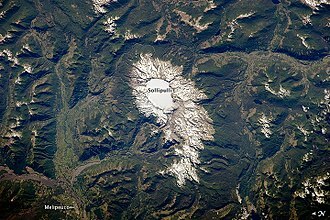 The Marquesas are located at 9°00 S, 139°30 W, the highest point is the peak of Mount Oave on Ua Pu island at 1,230 m above sea level. Based on 2010 studies, new research suggests that the islands were colonized rapidly in two waves by indigenous colonists from West Polynesia, beginning c. 1025–1120 AD, leading to development of a remarkably uniform culture, human biology and language. The Marquesas Islands form one of the five divisions of French Polynesia. The capital of the Marquesas Islands administrative subdivision is the settlement of Taiohae on the island of Nuku Hiva, the population of the Marquesas Islands was 9,264 inhabitants at the August 2012 census. D. ∼1025–1120, four centuries than previously assumed, after 70–265 years and this rapid colonization is believed to account for the remarkable uniformity of East Polynesia culture and language. The new information will require major reworking of scholarship about the development of linguistics and linguistic evidence suggests that they likely migrated from the Western regions of Polynesia. The rich environment of the islands supported a large population and they lived by fishing, eating both fish and shellfish. They used breadfruit and raised other foods, the islands were given their name by Spanish explorer Álvaro de Mendaña, who reached them seventy years on 21 July 1595. He named them after his patron, García Hurtado de Mendoza, 5th Marquis of Cañete, Mendaña visited first Fatu Hiva and Tahuata before continuing on to the Solomon Islands. 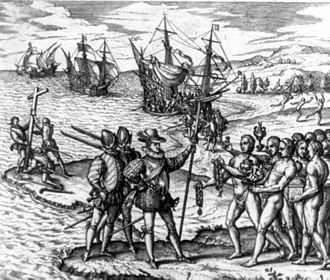 His expedition charted the four southernmost Marquesas as Magdalena, San Pedro, in the late 16th century, European explorers estimated the population to have been more than 100,000. Europeans and Americans were impressed with how easy life appeared to be in the islands, in 1791 the American maritime fur trader Joseph Ingraham first visited the northern Marquesas while commanding the brig Hope. 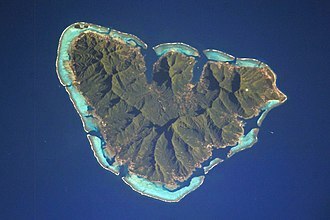 Temoe, or Te Moe, is a small atoll of the Gambier Islands in French Polynesia. It is located in the far southeast of the Tuamotu group archipelago and it lies about 37 km southeast from the Gambier Islands and more than 1,700 kilometres southeast from Mataiva, at the other end of the Tuamotu archipelago. Temoe Atoll is trapezoidal in shape and bound by a reef with many small shallow spillways. 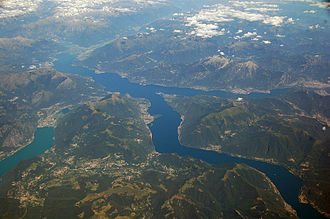 It is 6.8 kilometres and has a width of 4.2 kilometres. The lagoon has a depth of 23 metres. Its islands are low and flat and the lagoon has no pass to enter it. Administratively it belongs to the commune of the Gambier Islands,25 metres southwest of Temoe Atoll lies Portland Reef, a submerged shoal lying at a depth of about 10 metres. There are ancient Polynesian archaeological remains on this atoll, foremost among these are temple structures. It is said that buccaneer Edward Davis might have arrived at Temoe, but there is no historical proof of this fact. The first recorded European to effectively arrive at Temoe was British mariner James Wilson on the ship Duff in 1797, captain Wilson named this atoll Crescent Island. Because of their proximity, the Acteon Group, and the nearby atolls of Maria Est, Marutea Sud and Temoe, all permanently uninhabited, are sometimes included among the Gambiers. The commune of Gambier is made up of the Gambier Islands, the uninhabited Acteon Group to the northwest, and this group of islands and atolls covers an area of 35 km². Although these archipelagos are administered as a municipality, the main village is Rikitea. Temoe atoll, one island and a dozen of motus separated by passes over the corall reef. 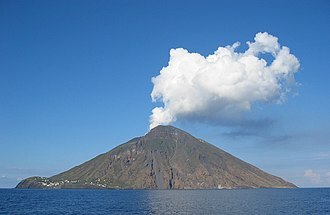 Acteon Group made of four atolls Tenararo, Tenarunga, apart from the above groups, it includes the three isolated atolls of Marutea Sud, Maria Est, and Morane. The Gambier Islands, together with the islands in the part of the Tuamotus, form Îles Gambier et Tuamotu Est. Together with the Tuamotus, the Gambier Islands form Îles Tuamotu-Gambier, the Gambier Islands proper have an enclosing coral reef which is broken by only three passages to the open sea. 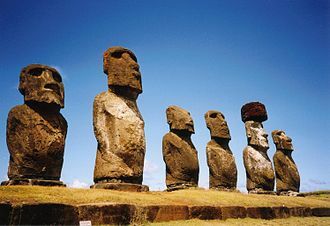 Besides Mangareva, the notable high islands of the group are Akamaru, Aukena, Kouaku, Makaroa, Mekiro. 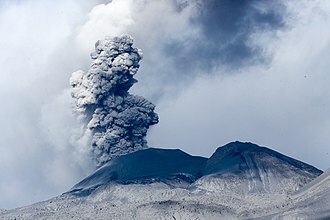 These are primarily of volcanic origin, a number of others are actually coral islands, hence of secondary volcanic origin, including Papuri, Puaumu and the Tokorua group. The islands proper are located at 23°09′S 134°58′W and are approximately 31 km² in area, the total population in 2007 was 1,641. The primary town is Rikitea, located on Mangareva, as is the highest point in the Gambiers, Mt. Duff, the more distant atolls of the Gambiers in the broad sense are all uninhabited. However, excessive logging by the islanders resulted in almost complete deforestation on Mangareva, with results for the islands environment. The folklore of the records a slide into civil war and even cannibalism as trade links with the outside world broke down. 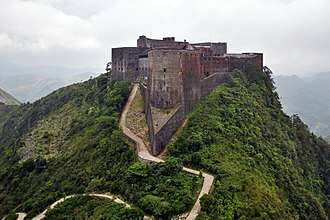 Today, the islands can support a population of only a few hundred, in 1834, the French Picpus priests Honoré Laval and François Caret with their assistant Columba Murphy founded a Roman Catholic mission in the Gambiers. 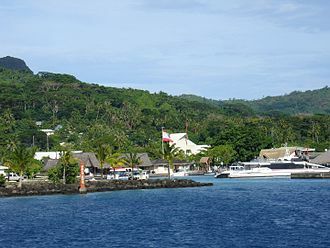 After their success here, they moved to Tahiti in 1836, Mangareva along with its dependencies in the Gambier Islands were ruled by a line of kings and regents that ruled until the French formally annexed the islands in 1881. Hakaui waterfall, on Nuku Hiva island. 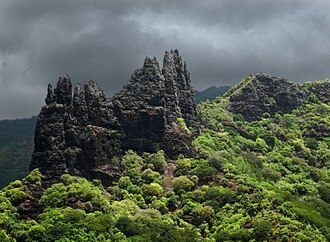 Basaltic rock formation in Hatiheu, Nuku Hiva island. View of Mount Duff, with part of the village Rikitea at its foot, and Mount Mokoto in the background on the right. View of Mount Duff from Mount Mokoto.